With the inevitable rise and fall of the markets, has the Philippine mining industry taken a turn for the worse? The Philippine Resources Journal together with MissTolentino.com sat down with investment banker and Mabuhay Capital Corporation Chairman, Mr. Raymond Davis, to discuss his take on the current mining situation and if potential investors should be thinking twice before investing in another mine. The May-July issue 2014 of Philippine Resources Journal is now available. Ever wondered what the influential do for leisure and relaxation? Or curious about the kind of lifestyle they lead beyond the competition of the board room? PowerPlay Magazine is centered around the edgy, glamorous lifestyle aspects of casino gaming hotel resorts and encapsulates the dreams, desires and aspirations of the real people who make up the gaming and entertainment community. The magazine is distributed in Mega Manila, in retail & casino gaming outlets. MissTolentino.com was privileged to write for this lifestyle heavyweight. Right up her alley? Investing. So come on, Power Player. Get your copy now. MissTolentino discusses the 8 Instruments for the Savvy Investor in the maiden issue of Power Play Magazine. Grab your copy now! Available at all leading National Bookstore branches nationwide. Power Play Magazine is a high society magazine that brings you around the edgy, glamorous lifestyle of the rich and powerful. The magazine gives you a glimpse behind the enthralling lives of influential people away from their usual business environment. Power Play Magazine’s maiden issue is now available at all National Bookstore branches nationwide. This July 12 2014, www.investalk2014.com, an online finance community where people can discuss and learn from each other, will be grand launching its first Investor’s Conference called “Investalk 2014: A Mid Year Outlook”; inviting aspiring young investors into a one day condensed investment boot camp. Investalk 2014 brings a number of the country’s most prominent finance personae together in an enriching seminar. Speakers will be covering topics from the latest trends, news, updates and basics on investing both locally and abroad. Featured speakers are: Tommy Tiu for Finance 101, Alvin Ang for the Economic Outlook, Richard Liboro of BPI for Philippine Equity Strategy, Norman Go of BPI for Guru Investing Strategies, Jay Peñaflor for Featured Stocks, Joe Ferreria for Implementing Personal Finance Plans, and Salve Duplito for Value Investing. Since I’ve gone professionally full-time with my writing, I was wondering how to best maximize the time given to me. Aside from ministry, fitness, reading, cooking, creating media plans, and maintaining an awesome website, I figured why not try investing in the stock market. 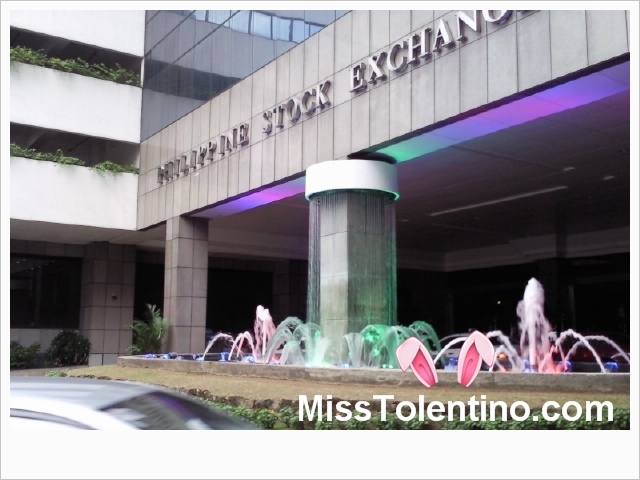 I recently invested in the Philippine Stock Exchange (PSE) and I am still figuring out what other companies to invest in. I am really digging companies related to what affects me directly such as power, communications and utilities. There is a lot of potential for them and the Philippine economy as a whole. In a recent conference I attended, my financial consultant (who is also a good friend) introduced me to a guy who had gained a lot of money from the stock market. He was pretty much pleased with himself, too! The thing is, when I asked him about tips and such since I was a beginner myself, he became all tight lip. He minced his words. In the meantime, I’ll do what I do best: learning everything by myself. How about you? Have you tried your hand in stock investing? What kind of companies are you looking at?